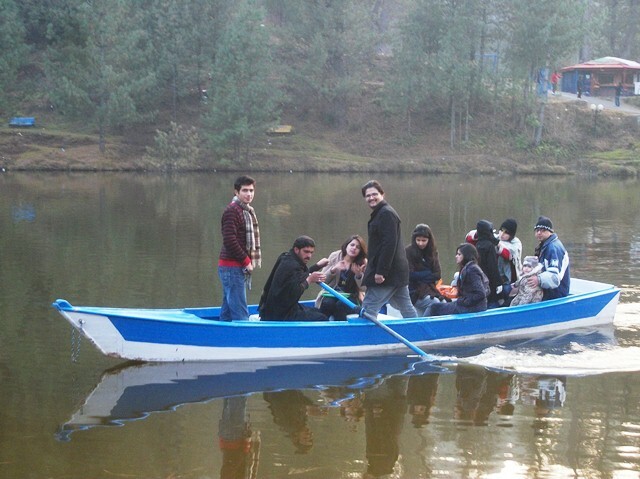 Under the Supervision of Sir Umber Ibad the Lucas Economics Society took a 4-day trip from 17 to 21 December 2013, to Azad Kashmir. 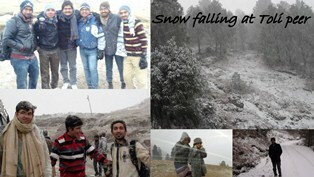 This included visits to Banjosa Lake, Toli Peer, Muzzafarabad, and Kohala. After the long and tiring journey from Lahore to Khaigala, (Rawalakot, Azad Kashmir), the trip participants were welcomed at the Gulf Palace Hotel. After some rest all the participants were ready to hit the first point of the trip Banjosa Lake. 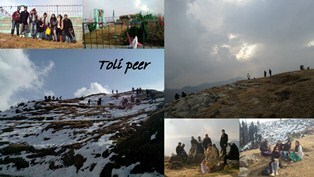 The next day everyone was ready for the most awaited spot of the trip which was Toli Peer. 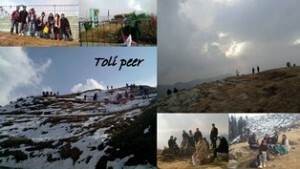 It is a Mazaar at the top of the hill. One side of the Mazaar faced the grassy mountains while the other showing the great fog covered mountains of Azad Kashmir. After spending some time the weather suddenly changed severe cold wind started blowing and the thick heavy clouds covered the mountains. Before we could return to our buses light snowfall started which made everyone jubilant as it was the first snowfall of the season and the mountains were still to be covered in snow. By the time we reached our buses there was heavy snowfall and the management decided not to waste even a single minute to turn back to our hotel as it was getting dark and the snowfall was getting heavier. While returning to our hotel, the buses got stuck in the snow, so without wasting any time LES’s management decided that it would be safer to walk back to the hotels. 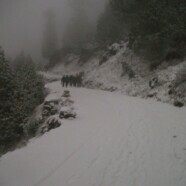 The management then arranged for extra jeeps and vans to get everyone out safely. The next day was journey to Muzaffarabad which was a very pleasant one during which the students were allowed to get a view of some areas of Bagh which is being rebuilt. 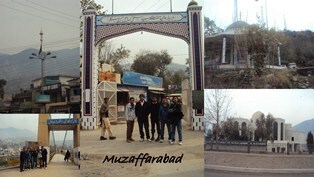 Reaching Muzaffarabad, we stayed at a hotel situated at the banks of two rivers. After dinner a twenty minute walk to PC Muzaffarabad was highly appreciated as everyone had a cup of tea and enjoyed the Pakistan vs Sri Lanka cricket match. 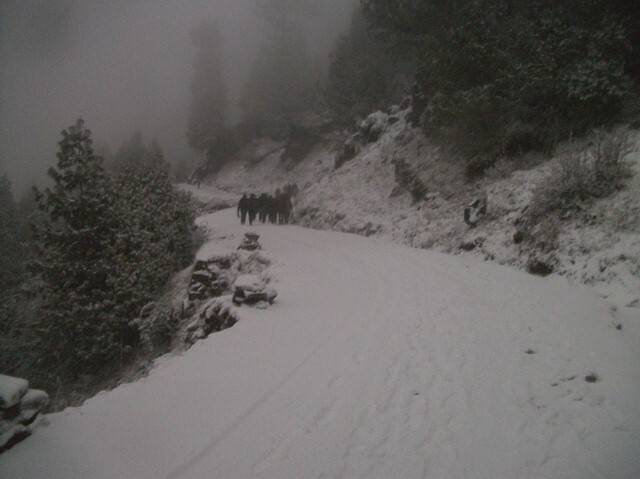 The last day was reserved for visiting Pir Chinasi but keeping the keep weather in mind, the students were taken to Islamabad instead. 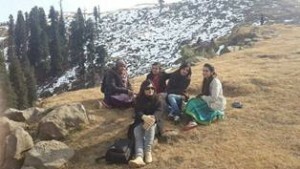 There the students visited the Monal Restaurant after which the trip turned back to Lahore. 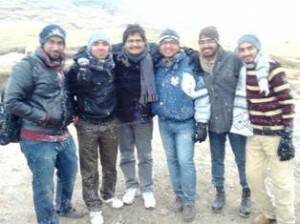 The Lucas Economic Society especially thanks Mr Umber Ibad and his family who were a part of the trip.